Wordless Wednesday – Parade paradise! 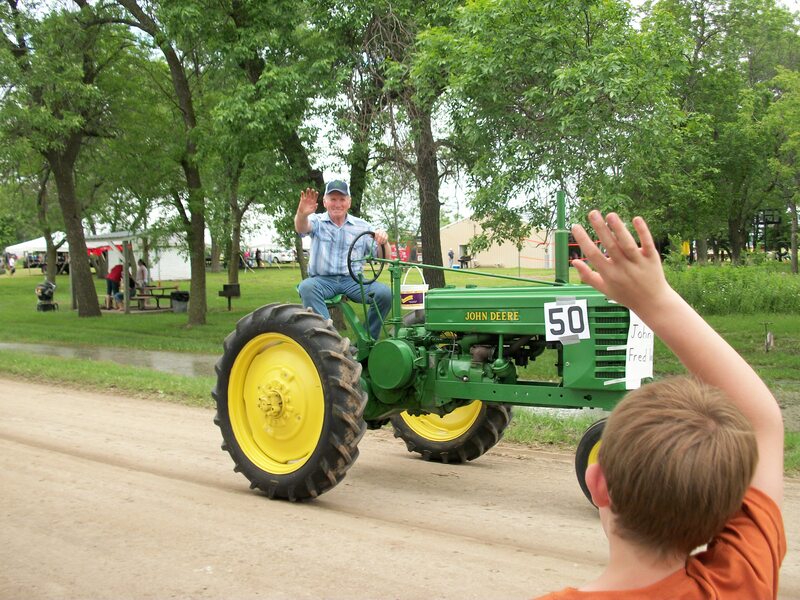 Grandpa drove one of his tractors in the parade. Auntie B and cutie Cousin N drove another tractor. Showing vet-school pride! 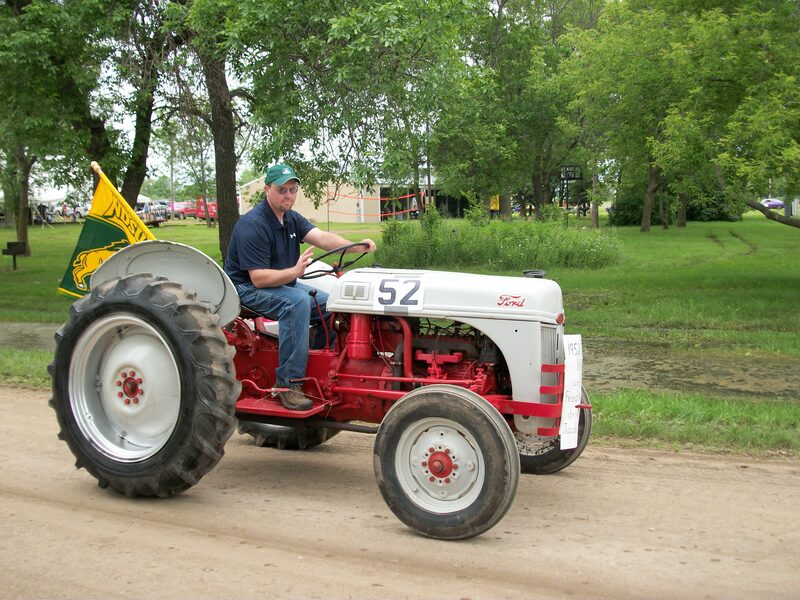 Uncle J also drove a tractor...this time with the NDSU flag! 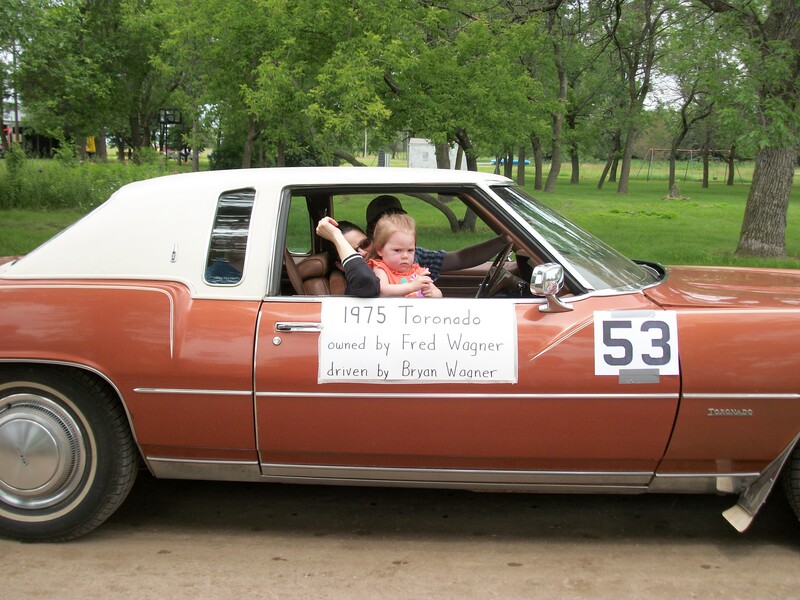 Uncle B and Aunt L (along with Cousin H and Cousin G) drove Grandpa's Toronado. Hmmmm...we may have too many letter abreviations going on here! 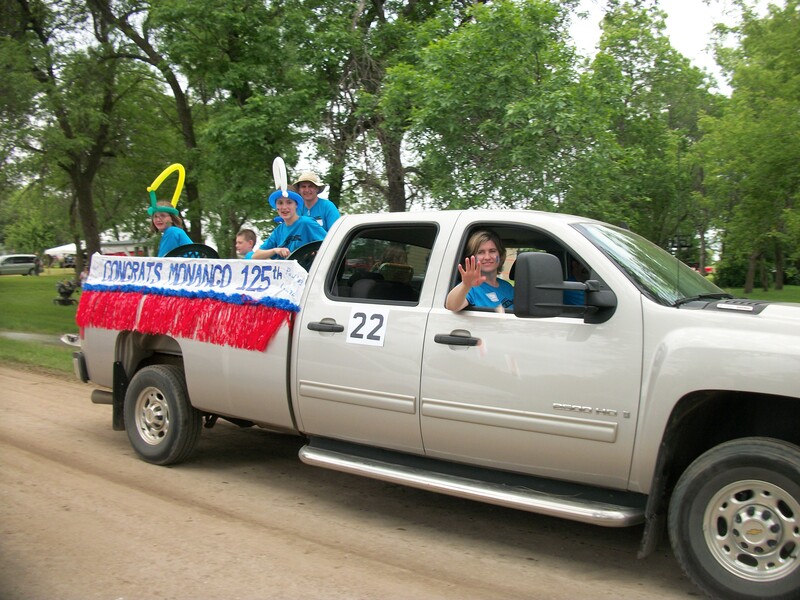 One of our neighbors had a family float, congratulating Monango on 125 years! Area businesses also came out to support our town. 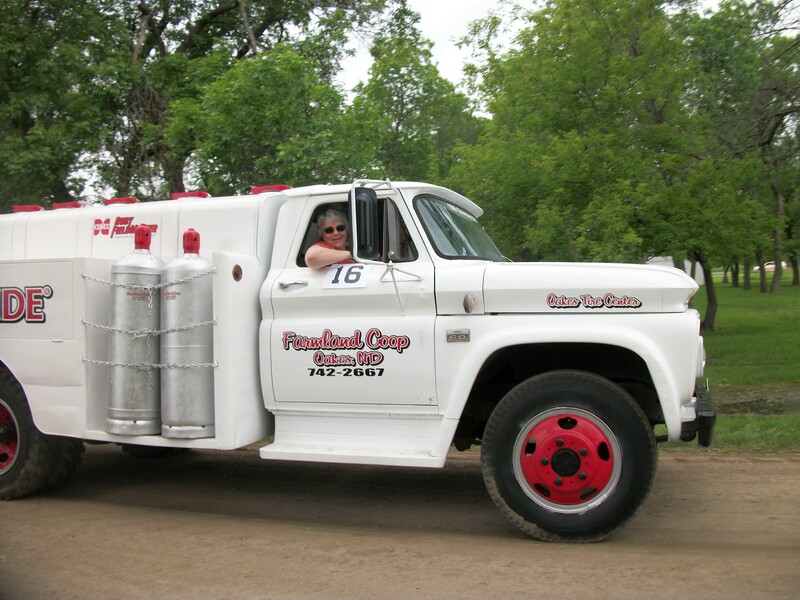 Including cool throw-backs to the old days, like this truck! Big Bro was in the pageant, which gave a very quick synopsis of the history of Monango...from the beginning of time to present day. Very cute and funny! And Big Bro's acting debut! I could post a bunch more pics, but I think you get the point. 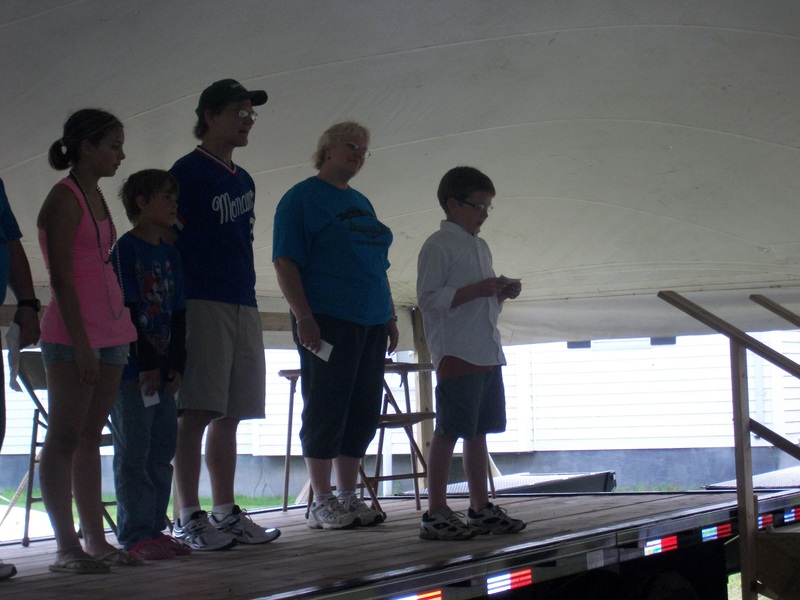 It was a great afternoon and lots of fun for the kids…but the best part was seeing the community coming together. It’s funny how we’re separated by mere miles, but it takes a celebration to bring us together. Here’s to hoping that it doesn’t take another 25 years to see each other again! We may be rural…but we are not alone. 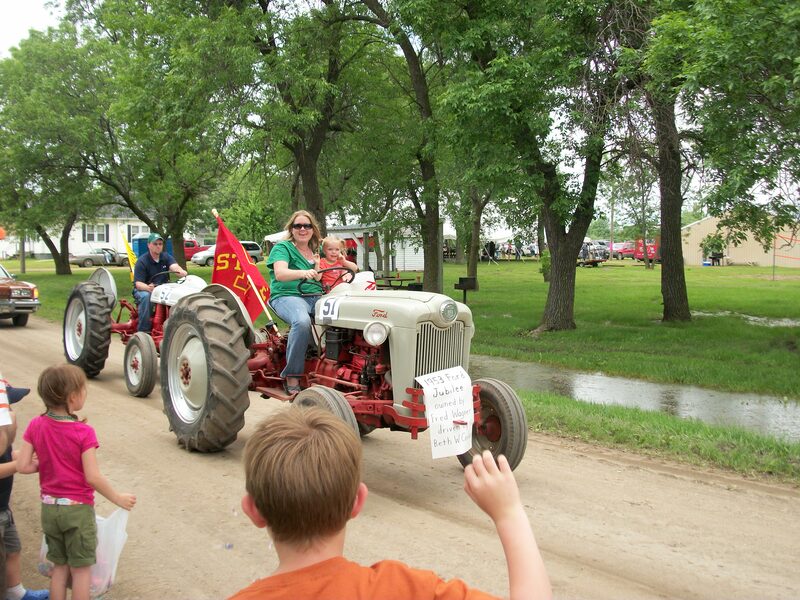 This entry was posted in farm fun, Farm life, Other, Wordless Wednesday and tagged children, farm life, fun, prairie celebrations, recreation by wagfarms. Bookmark the permalink. This shows what small town pride and rural North Dakota are all about. Makes me actually tear up. I love it. Thanks for linking up!